[New Feature] DnA: Protected Features- A user can “protect” a feature/ability so that he/she and only select users are able to perform that function. Ex. If I “protect” duplication and grant only Myself + Zach access to this feature, then all other users will NOT be able to duplicate the assessment (only Me + Zach). [New Reports] DnA: Illinois PARCC Reports. See the abstracts here. 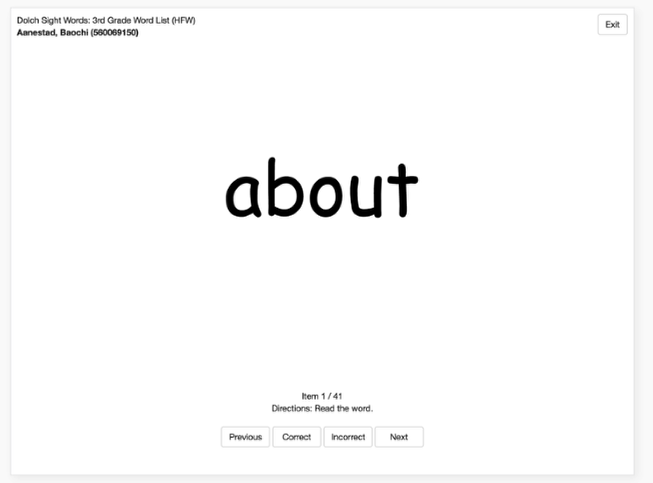 [Enhancement] DnA: Skills Assessments- New Font (Comic Sans)- We received feedback that the open-dyslexic font could be distracting for students who hadn’t encountered the font before. 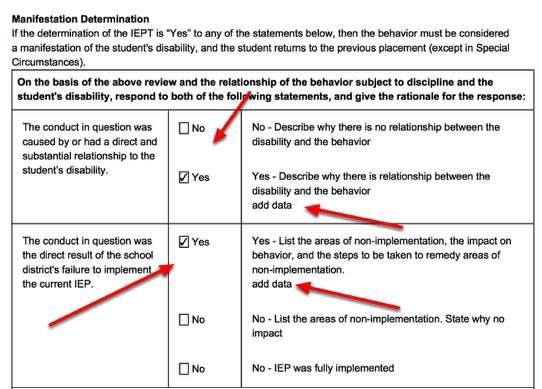 [Fix] ISE: The check boxes along with the comments entered on the Manifestation Determination section of the MDR Process now show on the MDR PDF. [New Feature] DnA: Skills Assessments: Skills Assessments are an easy way for teachers to assess student’s recognition of numbers, short words, letters, etc. The teacher sets up a series of questions (or “prompts”) and then assesses the student and records the results in real time. For extensive information on this feature, see the help documents here. [New] DnA: List Assessments Page got a facelift! Removed the filters at top (this caused issues with a lot of users). No need to hit “clear” before searching. 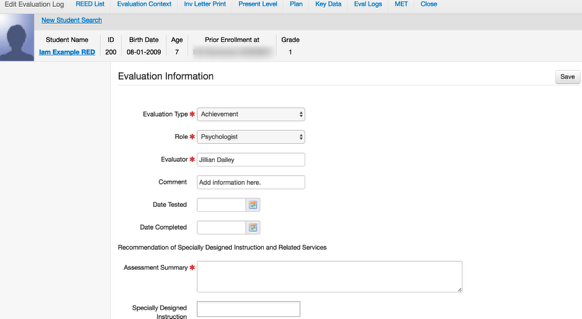 Added a “recent” filter to left to make it easier to find your recent assessments. Utilized a convention similar to Google and online shopping carts to make the interface more intuitive and easier-to-understand. 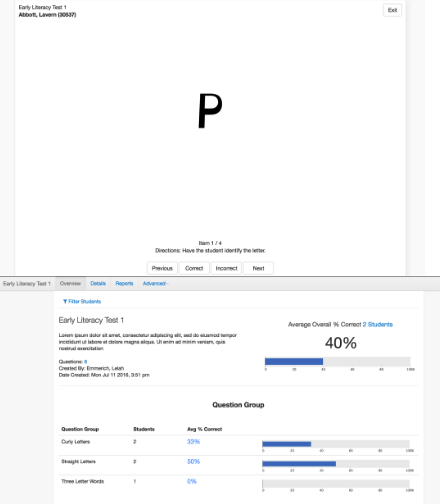 Added ability to preview assessments. Added the “trash” option to restore deleted assessments. Consolidated “Actions” (E.g. duplicate, scan, delete, etc.) into a drop-down menu for usability and performance. For more info see the help document here. [Enhancement] Online Testing got a little facelift! See the new organization of buttons as well as the progress bar along the top of the page! This should make it work better on phones and tablets. 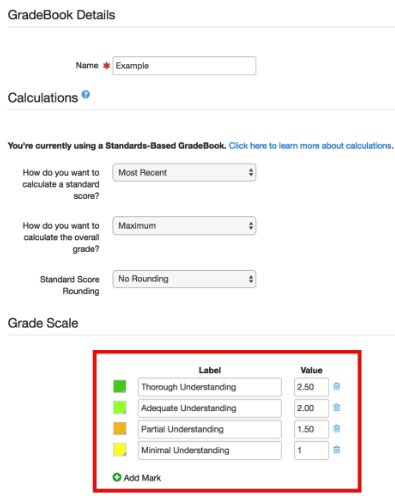 [Enhancement] Gradebook: Decimals are now possible in the Standards-Based Gradebooks, they can be set up in the Grade Scale to the hundredths decimal place. Users can now compare the two available years of SBA data (2014-15 and 2015-16) or run for a single year using the same report they’ve been using. [Enhancement] ISE Washington and Michigan REED: Removed the District Representative Signature/Date and Special Education Supervisor Signature/Date. Added the District Signature and Date District Received Signed Parent Consent. [Enhancement] ISE Louisiana: REED: Added back the Parent Consent section on the PLAN Page of the REED Process. [Enhancement] ISE Washington REED: Added Evaluation Information section to the Eval Logs Page.